A set of durable, premium leather cymbal straps for orchestral and B&O percussionists. 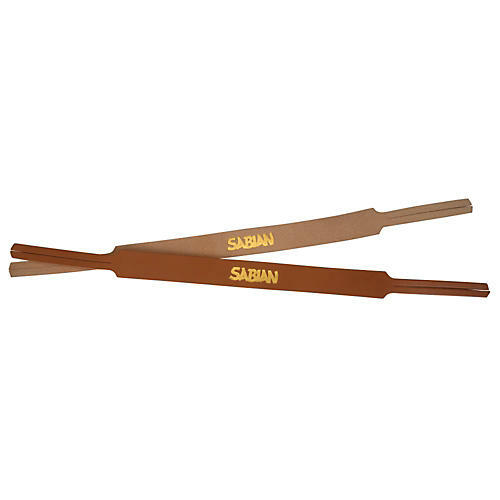 Designed in response to requests from orchestral and marching percussion endorsers around the world, these Sabian Premium Leather Cymbal Straps Sabian are made from top grain leather. Considerably thicker than current cymbal strap offerings, the premium straps have been designed to fill the needs of the world's top percussionists. The ends are tapered to fit through the cymbal and have been branded on both sides of the straps for percussionists who prefer to play with the rough side out.